If you did, we hope you enjoyed the desserts laid out for you at our dessert table. We were the table nearest the photo booth with the champagne and bird cages. 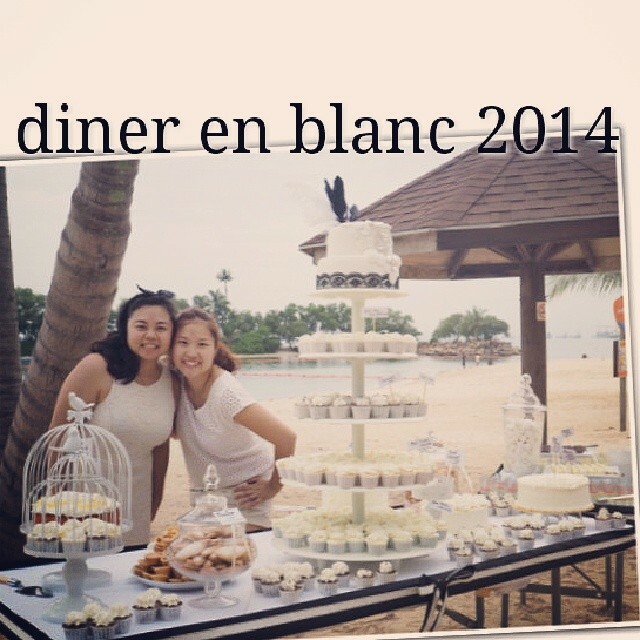 Here’s a pic of us with our creation for DEB 2014 @ Sentosa.